I'm always looking for inspiration from other photographers' portraiture. 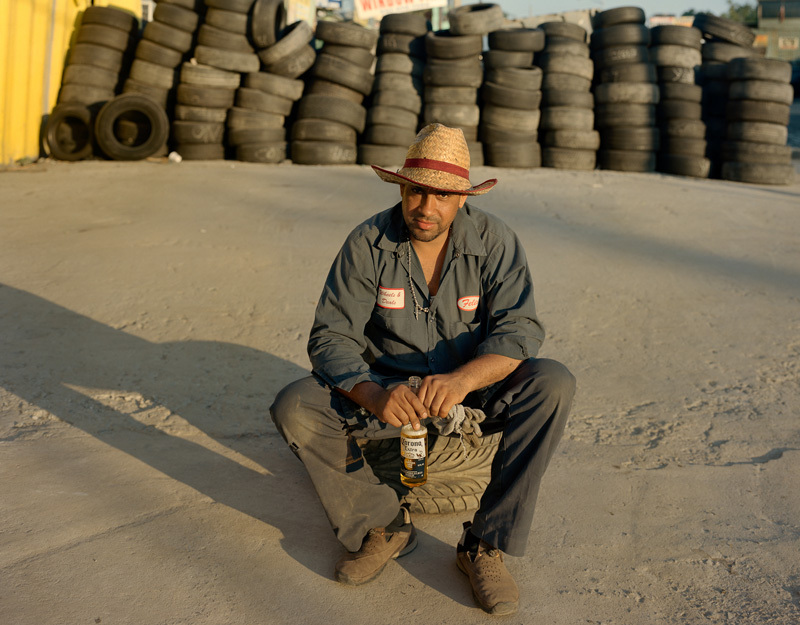 There are great shots among these large-format pictures of workers and (apparently) the single actual resident of Willets Point. Also known as the Iron Triangle, it's a gritty area of Queens devoted to auto repair shops. Mukhopadhyay's captions are of the Hiroh Kikai school: short, selective, evocative. His caption for the photo below captures an abrasive boss in one sentence: "Felix, after seeing my portfolio, complained that too much of my work was focused on transient workers, and suggested I should photograph more of the owners like him. 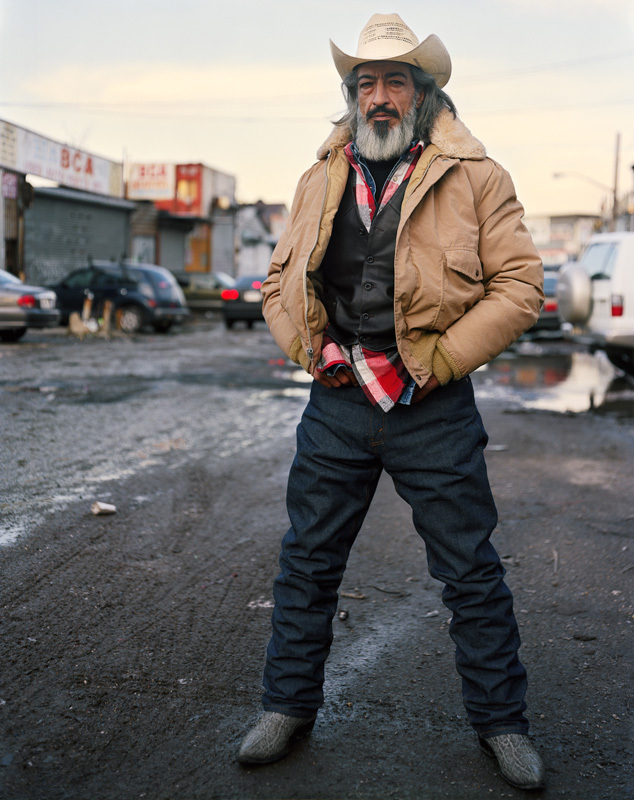 Willets Point, June 16, 2012." Check out Mukhopadhyay's entire project here.